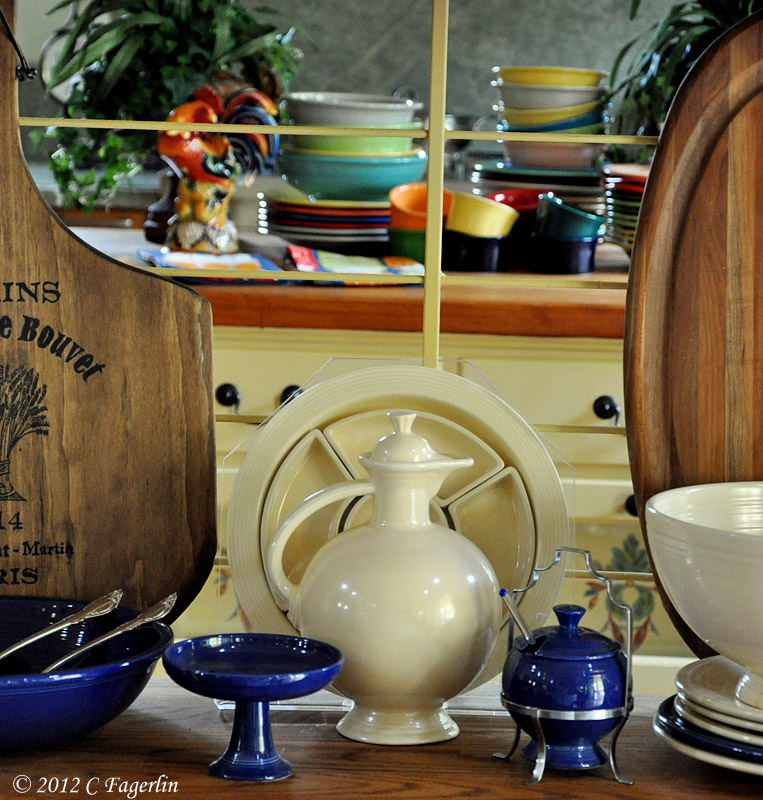 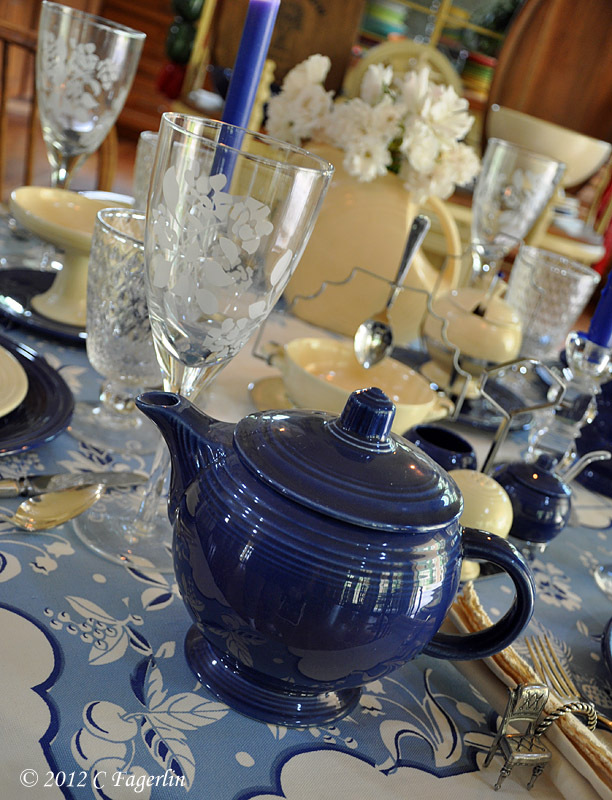 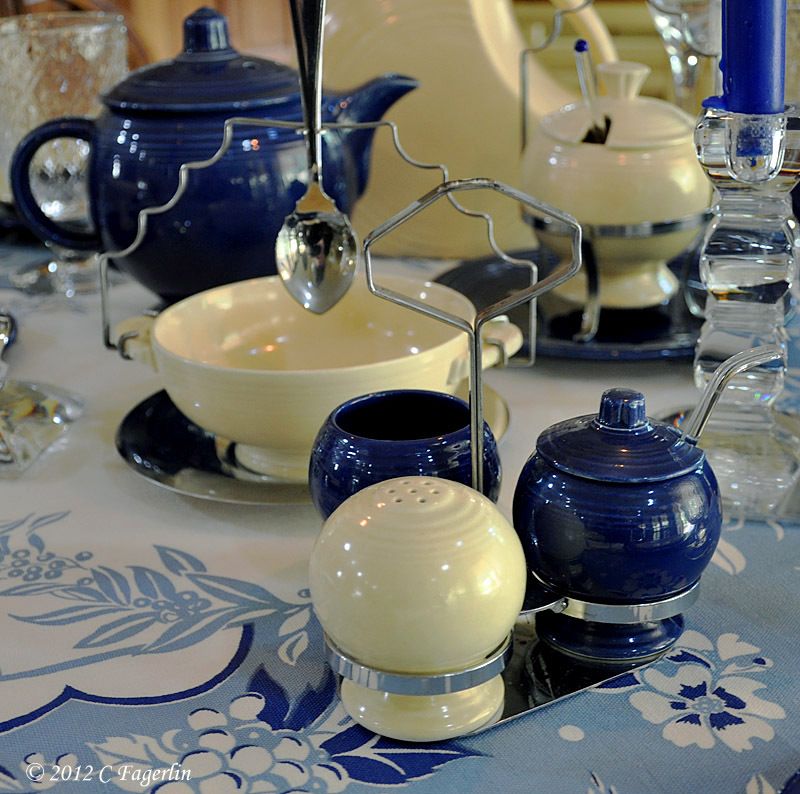 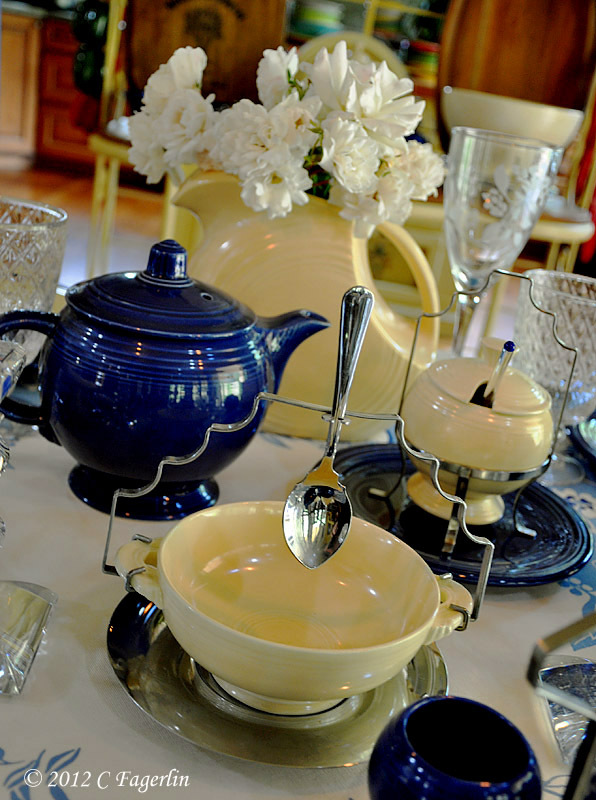 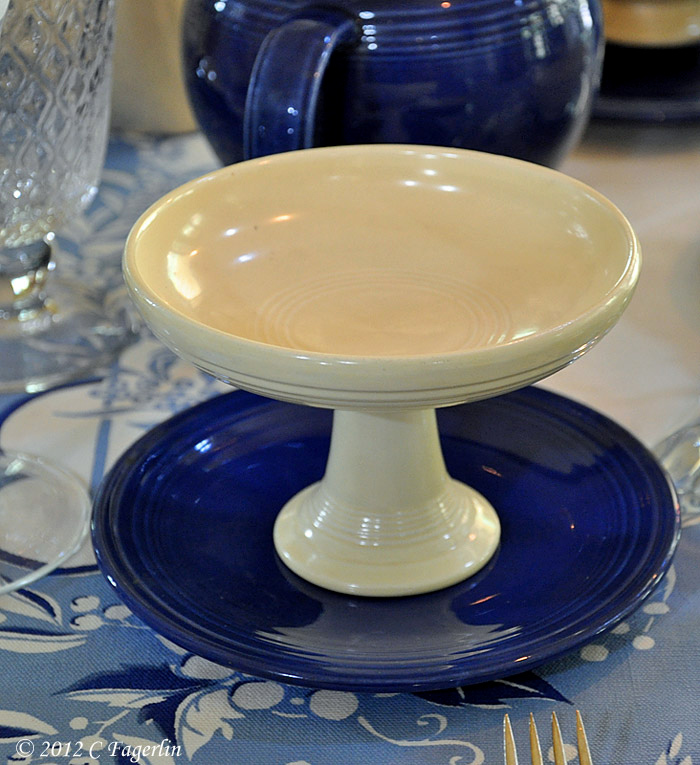 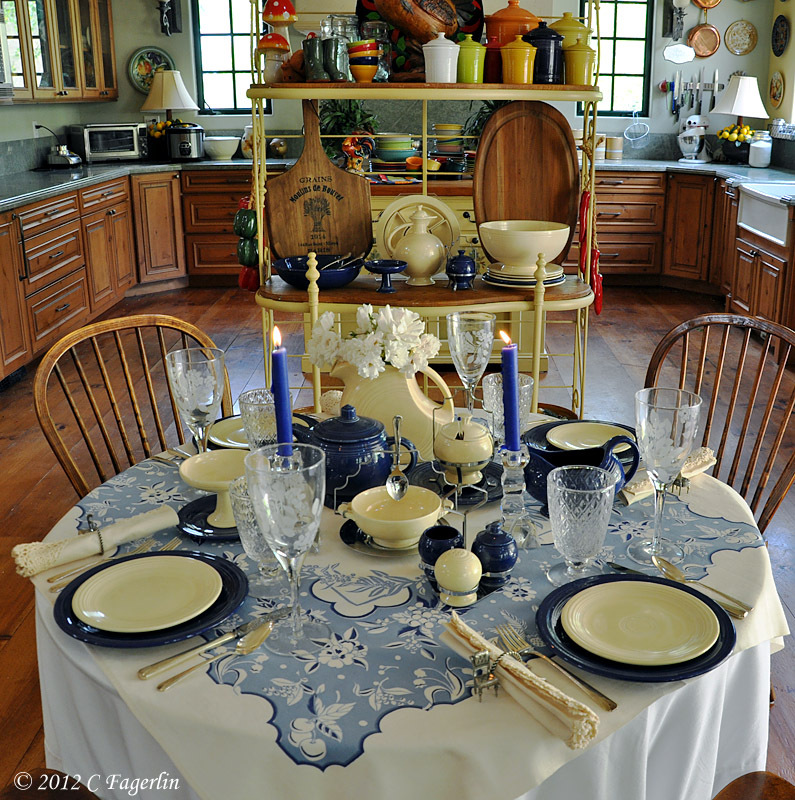 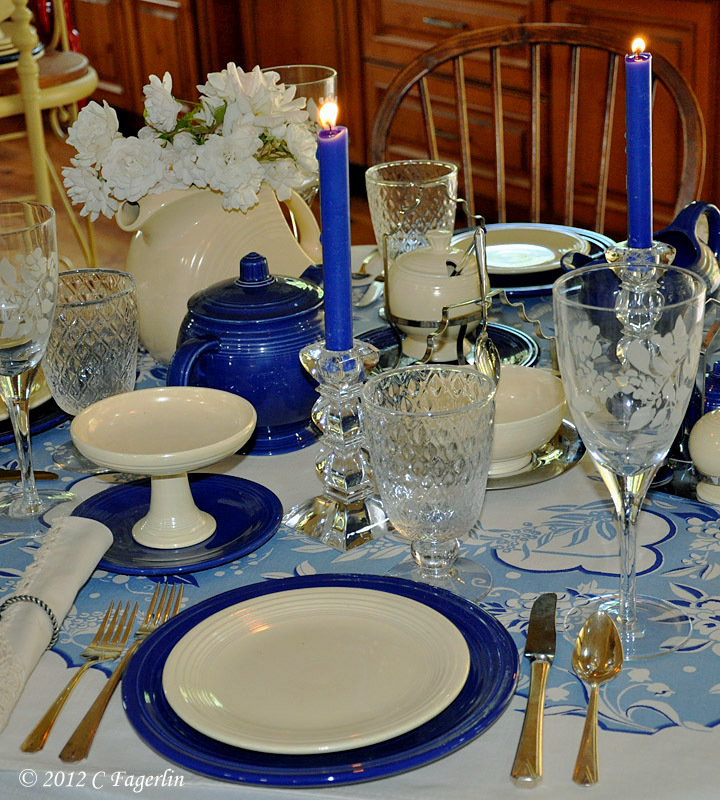 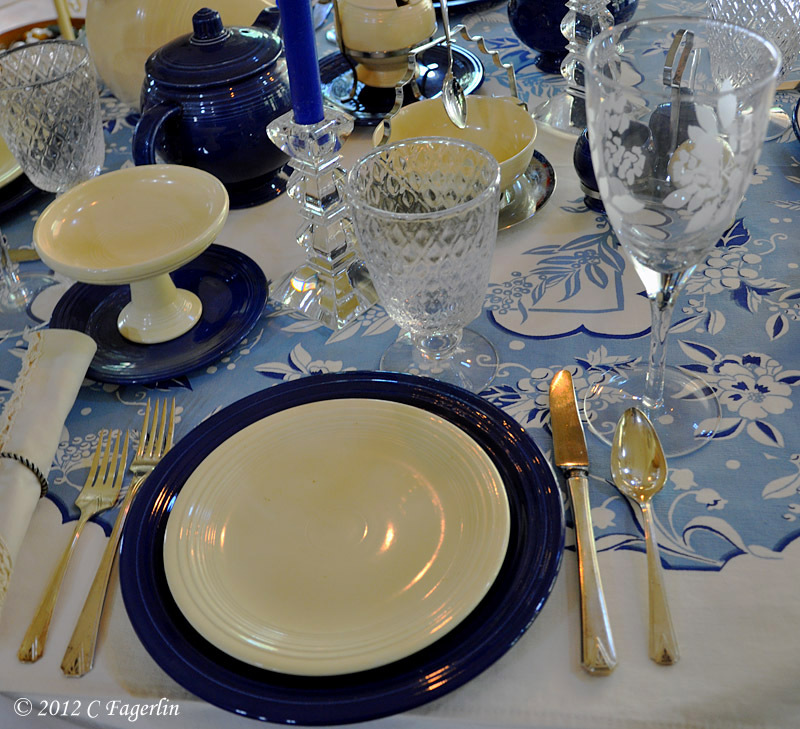 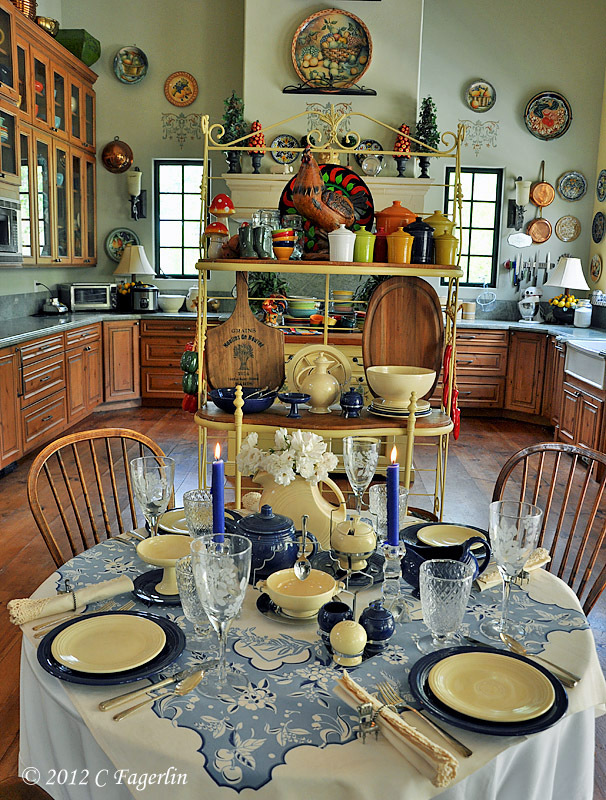 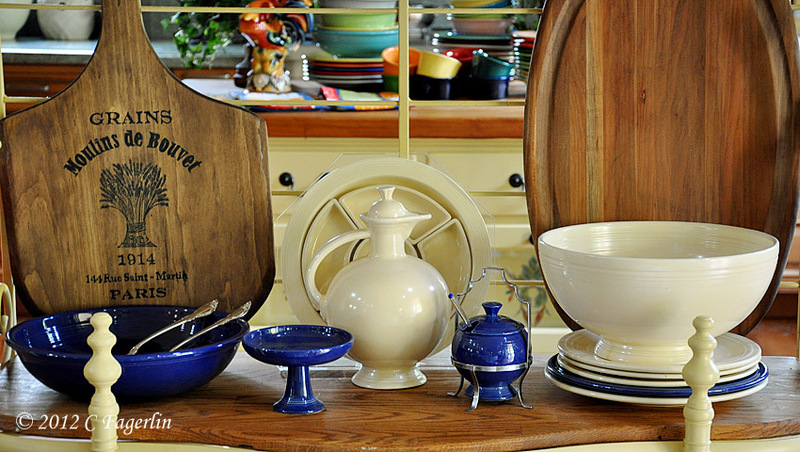 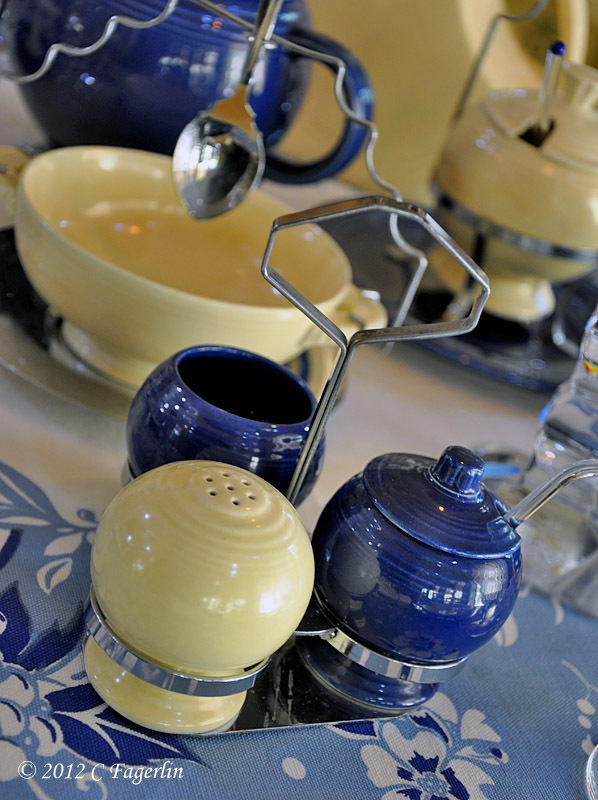 A table filled with vintage Cobalt Blue and Ivory. 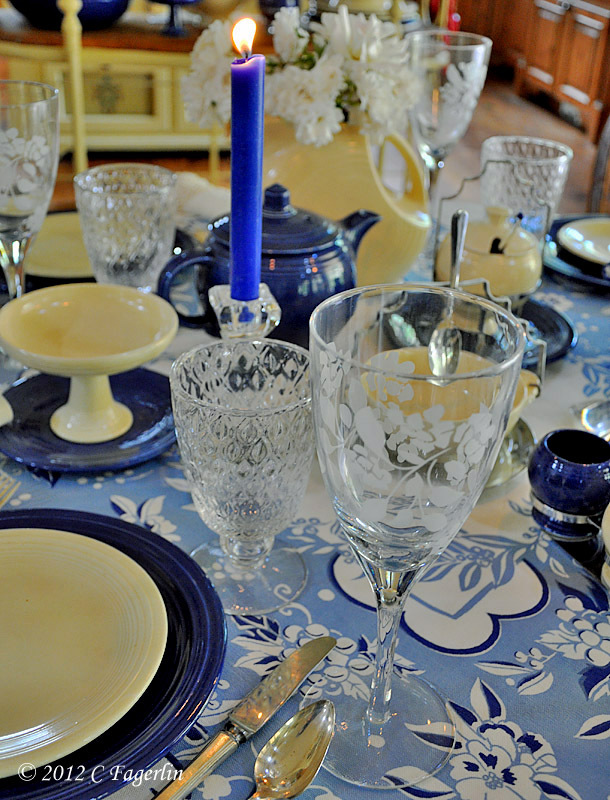 I LOVE Cobalt!! 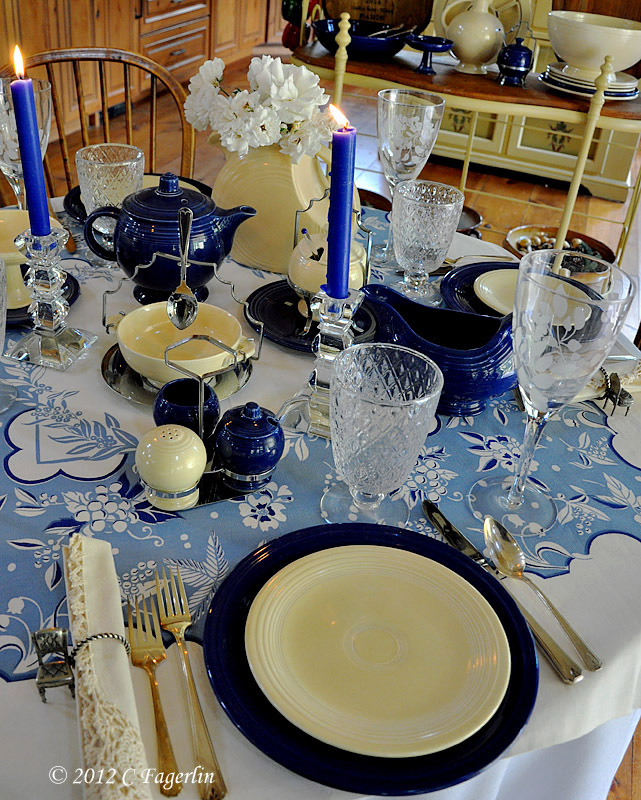 This is a beautiful table and I LOVE the tablecloth.